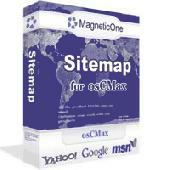 Site Map for osCMax - osCMax Module - is very powerful and flexible module for dynamic site map generation. 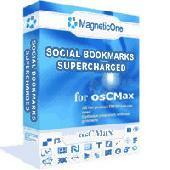 Social Bookmarks Supercharged - osCMax Module is unique solution which will let your customers to bookmark your site: any your product, category or page into social favorites / bookmarking services. 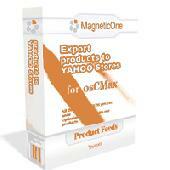 osCMax Cart contribution which would help you export easy your products into Froogle.com engine - one of the most popular free product catalog. 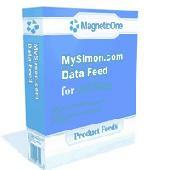 osCMax Cart contribution which would help you export easy your products into MySymon.com - one of the best Pay-Per-Click service. You will be able to upload new file at any time from your Control panel with one mouse click! 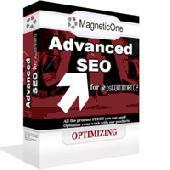 Contribution, which allows syndicate products from your Oscmax Cart store using popular syndication formats. 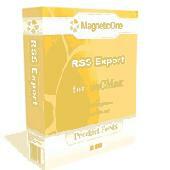 RSS is open file format for information export, which could be used by variety of sites/services, RSS-aware sofware and most popular internet browsers (like Firefox, Internet Explorer, Safari etc.) to review and import your products. You will be able to upload new file at any time from your Control panel with one mouse click! Shopzilla's strengths are its advanced research features and ratings capabilities. With an index of over 25 million products from more than 45,000 ecommerce web sites it provides more product data than any other comparison shopping site. 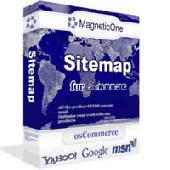 Site Map for osCommerce - osCommerce Module - is very powerful and flexible module for dynamic site map generation. 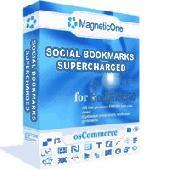 cial Bookmarks Supercharged - osCommerce Module is unique solution which will let your customers to bookmark your site: any your product, category or page into social favorites / bookmarking services. Site Map for Zen Cart - Zen Cart Module - is very powerful and flexible module for dynamic site map generation. Social Bookmarks Supercharged - CRE Loaded Module is unique solution which will let your customers to bookmark your site: any your product, category or page into social favorites / bookmarking services. Social Bookmarks Supercharged - Zen Cart Module is unique solution which will let your customers to bookmark your site: any your product, category or page into social favorites / bookmarking services. 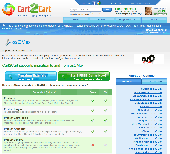 osCMax Migration Service by Cart2Cart provides with fast, accurate and secure migration from a number of major shopping carts to osCMax cart. 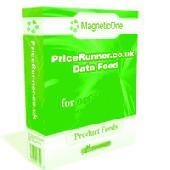 You can move your products, customers, orders and other data to your brand new store automatically.